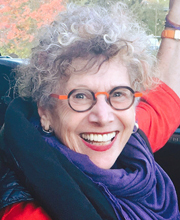 Growing up on the prairies in Swift Current, Saskatchewan where the local heroes were hockey players and curlers, Lorna Crozier “never once thought of being a writer.” While working as a high school teacher, she published her first poem in Grain magazine and 17 volumes of poetry followed. An Officer of the Order of Canada, Lorna’s teaching, mentoring, and contributions to Canadian literature have been acknowledged with five honourary doctorates. Her numerous awards include three Pat Lowther Awards, the Governor-General’s Award for Poetry, and both BC’s Lieutenant Governor’s Award and the George Woodcock Award for lifetime achievement. “Breathtakingly down-to-earth and reassuringly lyrical, new poems by Lorna Crozier are always a reason for rejoicing,” declares The Globe and Mail. Amazon chose her memoir, Small Beneath the Sky, as one of the 100 books you should read in your lifetime. A Professor Emerita at the University of Victoria, she has performed for Queen Elizabeth II and has read her poetry on every continent except Antarctica. Her latest book of poems, God of Shadows, is a wry book that offers a polytheistic gallery of the gods we never knew existed and didn’t know we needed. She lives on Vancouver Island with writer Patrick Lane and two cats.